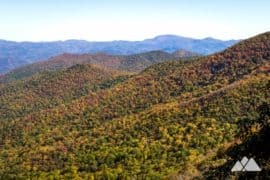 Graveyard Fields was one of our first-ever hikes on the Blue Ridge Parkway more a decade ago. 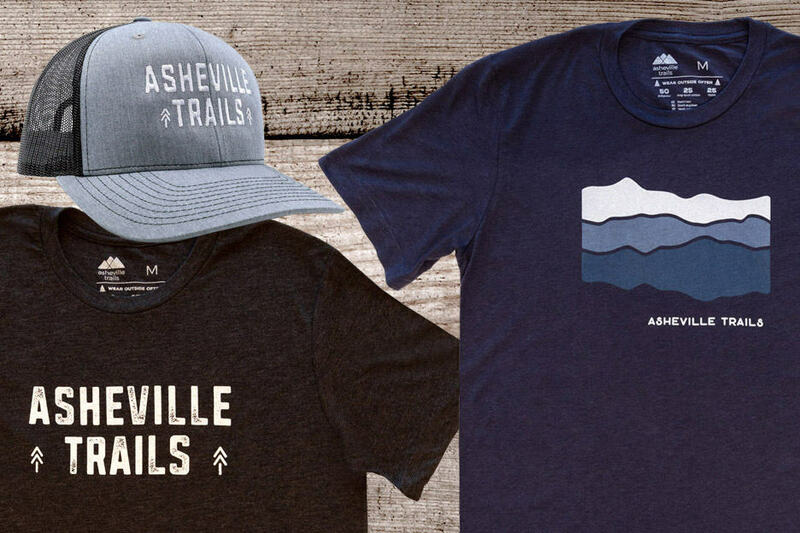 And it’s become one of our favorite Asheville-area trails that we’ve loved to visit again and again, enjoying the trail through every season. 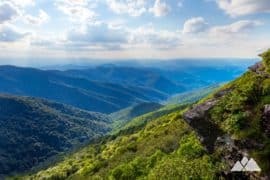 This oddly-named area is wild, rugged and exceptionally beautiful. 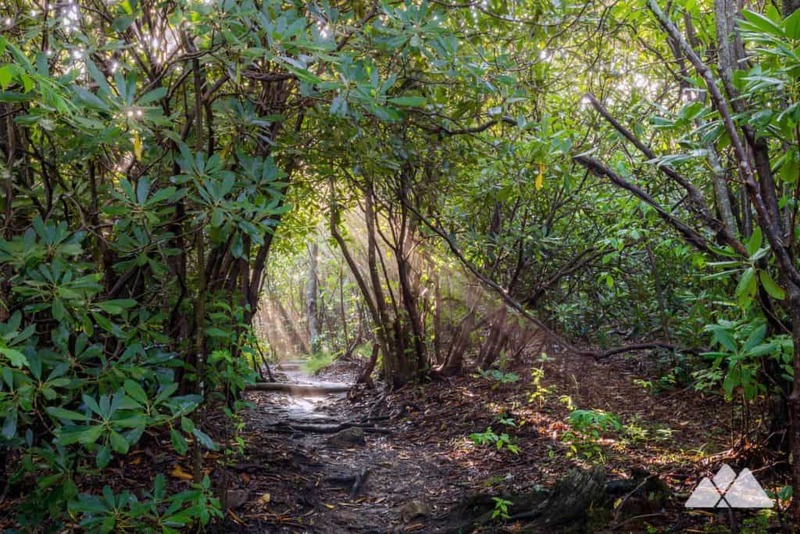 Sunlight streams through dense thickets of rhododendron and mountain laurel, the forest’s gnarly branches casting an array of dappled light on the trail. 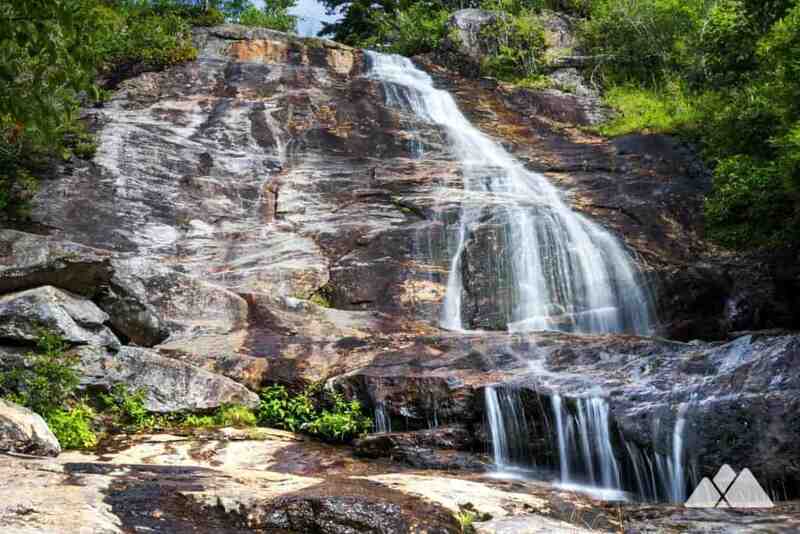 The hike visits two beautiful waterfalls, the multi-tiered second falls and the tall cascades of the upper falls. 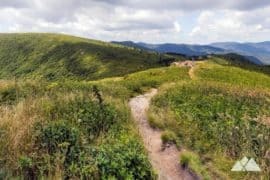 And the trail winds through a stream-filled valley with a memorable knobby, mounded terrain that’s filled with wild blackberry and blueberry bushes that burst with fruit in the late summer months. 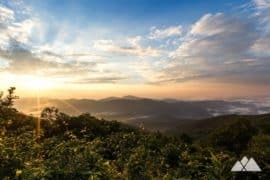 It makes for one amazing, unforgettable hike. 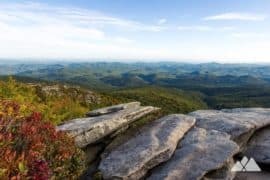 The hike catches views of the surrounding mountains, including Black Balsam Knob, from the trailhead before plunging into a dense forest of laurel and rhododendron. 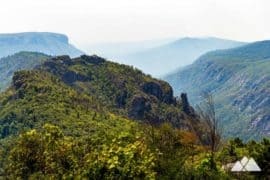 It visits both of the waterfalls and treks through the fields, hitting the highlights of this beautiful valley. 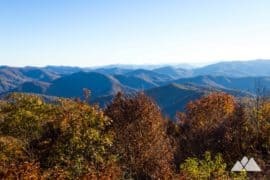 It’s a moderate hike that spans just over 3 miles, roundtrip, and is a must-hike for Blue Ridge Parkway visitors looking for a great outdoor adventure. 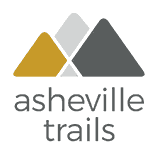 The adventure begins at a signed trailhead (view trail maps and driving directions), catching exceptional views of the surrounding valley framed by rolling mountains and towering mountains. 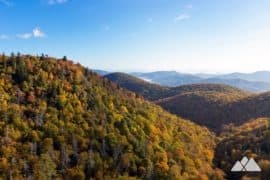 Straight ahead, Black Balsam Knob and Tennent Mountian shadow the deep-cut stream valley. 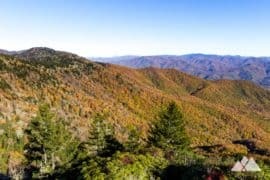 The hike descends a paved trail, trekking northbound and diving into a dense tunnel of rhododendron and mountain laurel. The sound of rushing water grows louder as the trail sights Yellowstone Prong and crosses the river by wooden bridge. 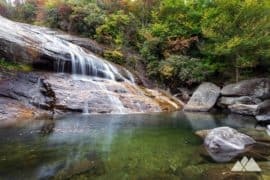 The river’s flow alternates between small, cascading waterfalls and tranquil pools, nestled into a rocky riverbed sculpted and scoured by the river’s flow over many millennia. The trail reaches an intersection at just under .2 mile, turning right to hike to the second falls. 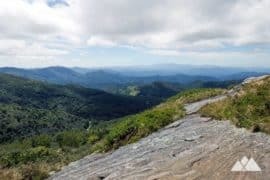 The hike passes a spur trail to the Mountains to Sea Trail before descending on a series of wood stairs and angled ramps. 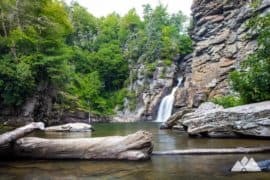 The trail reaches the base of the second falls at .3 mile, catching views of the waterfall’s multi-tiered cascades and the sandy, boulder-filled riverbed just below the waterfall. Departing the second falls, the hike doubles back to the trail junction, this time veering southwest to begin the loop portion of the trail. 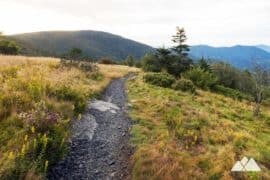 The hike treks through sandy, grassy fields and crosses a boardwalk before passing a second trail junction at .7 mile. 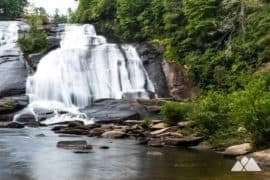 The route continues westbound toward the upper falls, crossing a boardwalk and passing through fields of wild blackberries and blueberries. 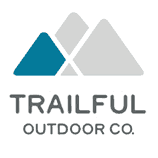 The hike reaches a third trail junction at .85 mile, turning right and following signs to the upper falls. 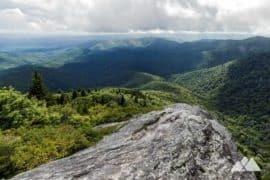 The trail crosses a creek at 1.15 miles, and again at 1.35 miles before beginning a steady upward climb to the waterfall over rocky, moss-covered, angular boulders and rough terrain. 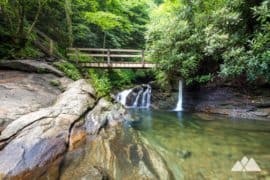 The sound of rushing water fills the forest as the trail reaches the lower section of the waterfall. The upper falls at Graveyard Fields is divided into two sections, each accessible by a short side trail. 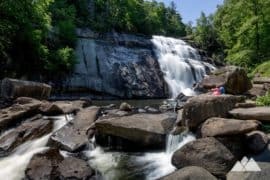 At the lower section, the river slides over an angled, colorful rock outcrop, plunging down an extended chute before pooling above large, tumbled boulders. At the upper, Yellowstone Prong plunges from a towering cliff before cascading over an angled rock outcrop, twisting and turning as it falls and pools. 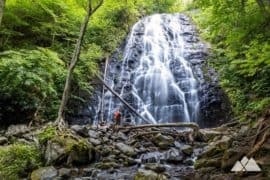 The falls make a great spot for a mid-hike snack (and in the early morning, it’s our favorite place to enjoy coffee and a morning snack on the Blue Ridge Parkway). 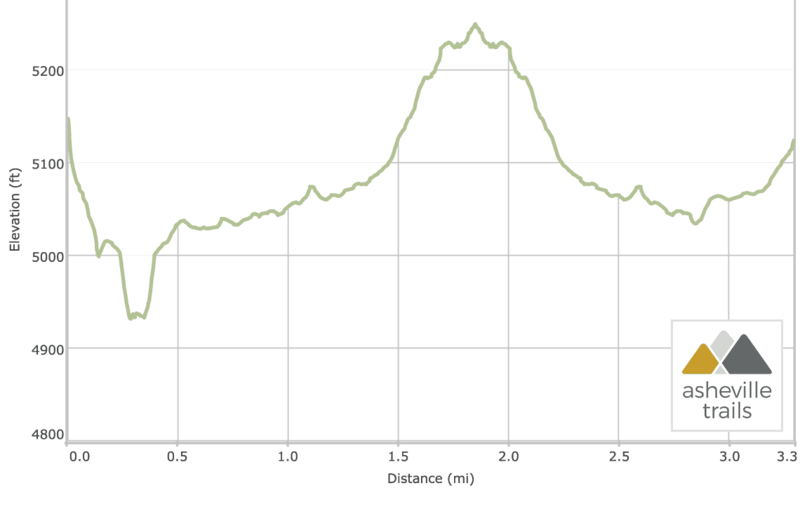 The hike departs the upper falls and retraces its steps, traveling eastbound. 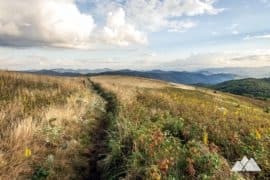 At 2.8 miles, the hike resumes the loop portion of the trail, trekking south to cross a wooden bridge over Yellowstone Prong. 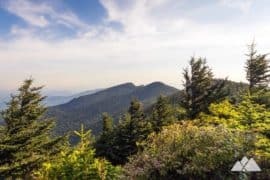 The trail dives back into a dense forest of gnarly-branched rhododendron as it begins a steady climb to the trailhead, and the onion-like scent of the green-leafed galax plant fills the fresh forest air. 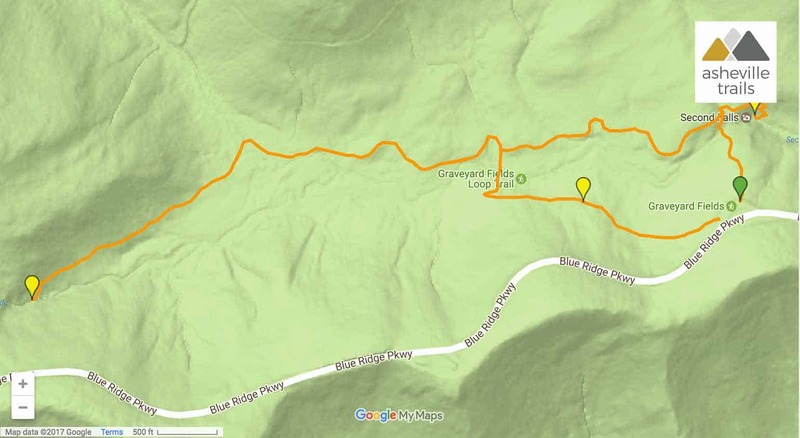 The hike reaches the western trailhead and parking area at 3.3 miles, completing the adventure. 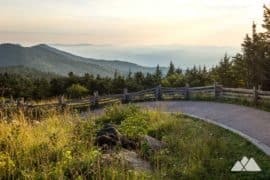 For a slightly longer adventure, score a six-mile adventure with visits to both waterfalls and climbs through a beautiful high-elevation forest on the Graveyard Fields Loop. 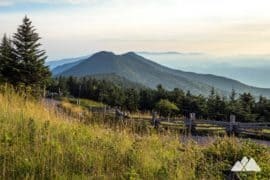 Or climb to stunning panoramic views from the fields on Black Balsam Knob, hiking the Art Loeb Trail over a series of wildflower-covered mountain balds. 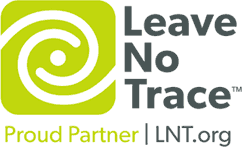 Wherever you adventure, please remember to stay on trail and leave no trace to help preserve the beauty of the wilderness.